This page is a work in progress, but here is a quick list in order of acquisition. 2007 Iron Horse Maverick Commuter. I picked this up cheap and second hand to be my commuter after using a truly awful bike shaped object for my first year of commuting. 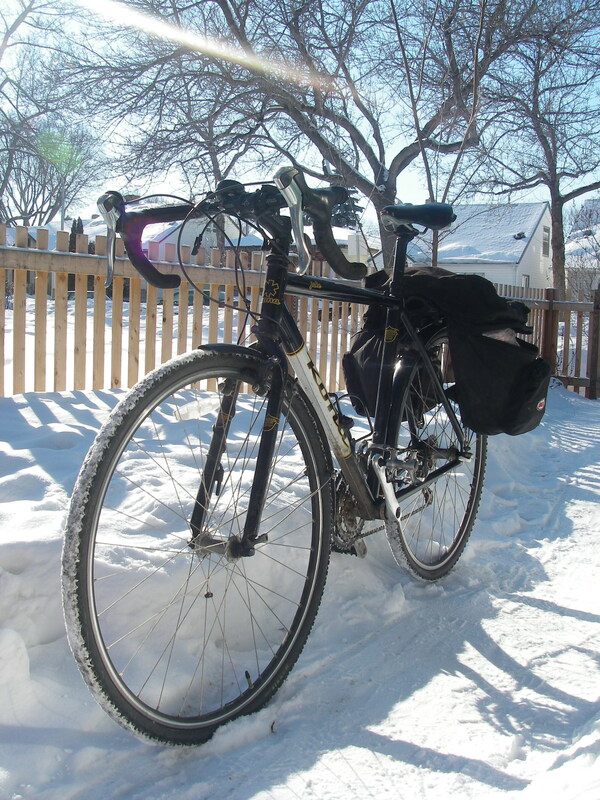 The Iron Horse served me well for several thousand kilometers. 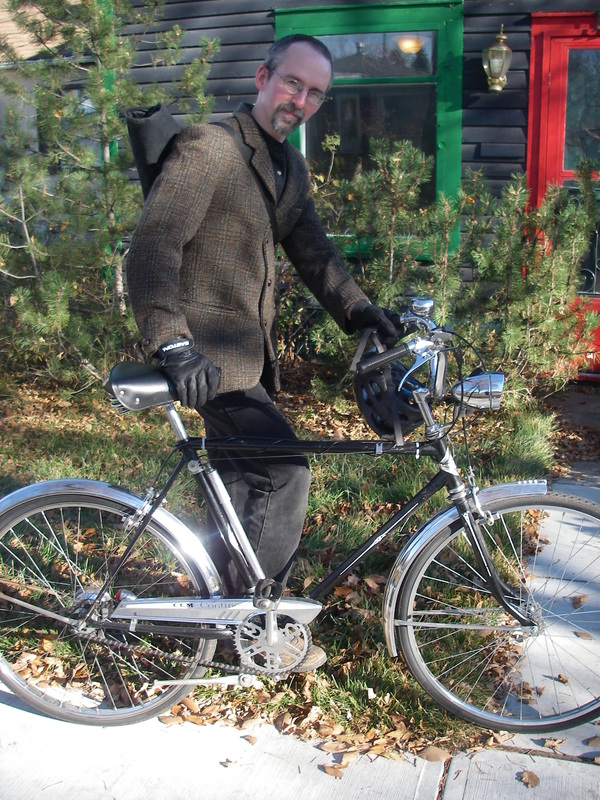 It was the first time I used a bike with a 34tooth on the back ( a cheap Shimano megarange freewheel) and I loved it for powering up out of the river valley while towing my daughter and groceries in a trailer. I guess Iron Horse made some decent bikes but this really isn’t one of them. The frame is massively overbuilt for a commuting bike. It looks like they took a heavy mountain bike frame and added fenders, a rack and bottom of the barrel components and called it a commuter. 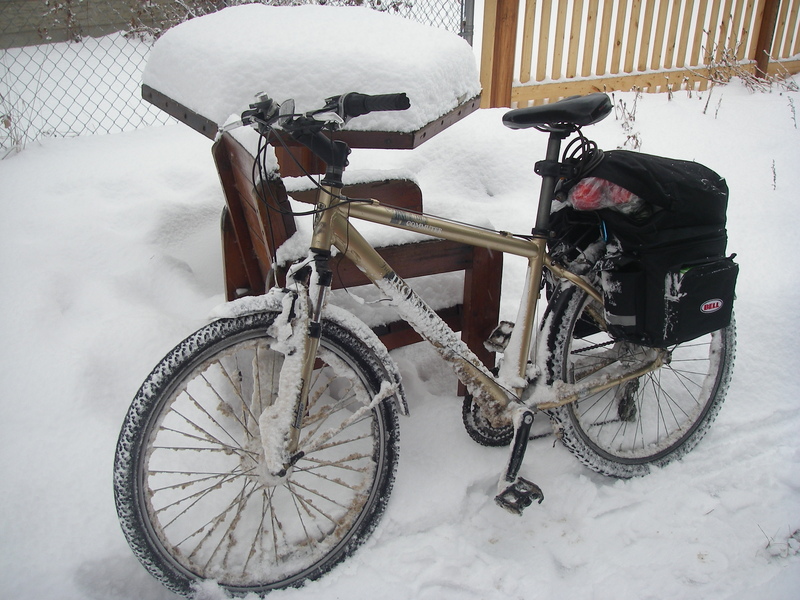 I have since upgraded many of the components and now use it as my winter bike. This is the first decent quality bike I ‘ve ever owned. I bought it second hand from a Kijiji ad in spring 2010. This is my favourite bike. I could ride this one all day, every day. Love, love, love. 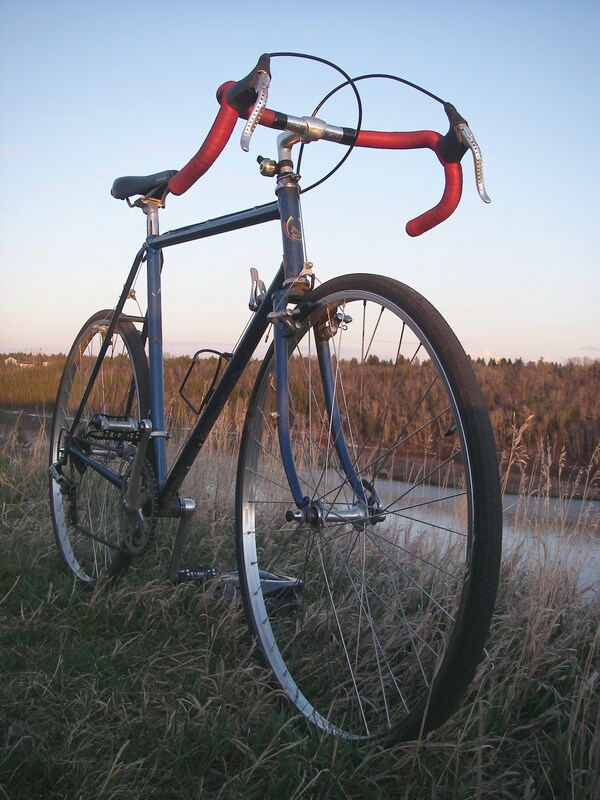 In its day, it was Nishiki’s top of the line touring bike for the Canadian market. I bought it with the thought of upgrading the components with modern ones but it is in such good shape and works so well as it is. I had never used downtube shifters before but it didn’t take long to get used to them. It such a pleasure to ride. Smooth, light, fast. The seat post is stuck and set a little low so I’ll be working on that this Spring. I’ll also be setting it up a a functioning touring bike. I have some VO fenders waiting to be installed and I’m considering which racks to install. This one was also purchased from a Kijiji ad. This is my introduction to the world of Sturmey-Archer 3-speed hubs. This bike insists on being ridden at a leisurely pace. I love its smooth ride and making long swooping turns on it. I tried riding it to work a few times but given the fact that I’m usually running late and sprinting it just isn’t suited to the task. The rear hub has a dynamo generator to power the front and rear lights. I need to do some tinkering to get that working. I’m also going to install a Pletcher type rack. This is an abandoned ’80s era Sekine 10-speed that I found lying by the road near work. I spotted it late in the Fall of 2010 and passed by without examining it. About a month later, after we had already had a snowfall or two I went back and it was still there, handlebars sticking forlornly out of the snow. There were a couple of guys in the parking lot of the business it was in front of and I asked them about it. Nobody at their shop owned it. So, I pulled out of the snow and carried it back to work. I have since tried to find the owner but without success. It has been well taken care of, and needs little work. I had thought it would be perfect for my wife but it turns out to be too big. At this time, I am considering giving it a sympathetic and reversible conversion to fixed gear. I’m flabbergasted. That is one of the most fantabulous bikes I have seen. Very cool. My wife says she would definitely ride that bike but dressed as a superhero. Is that some sort of front end suspension and does it work? What does the button do? Operate the light? I don’t even notice any benefit from the cool looking spring in the front. The button used to operate the light, if I’m not mistaken. I really need to do some work on the bike that is pretty but doesn’t have everything working the way it did when it was first purchased. My goal is to use it for city parades just for fun. Sure, why not? BTW I have updated my about page to explain my blog name.